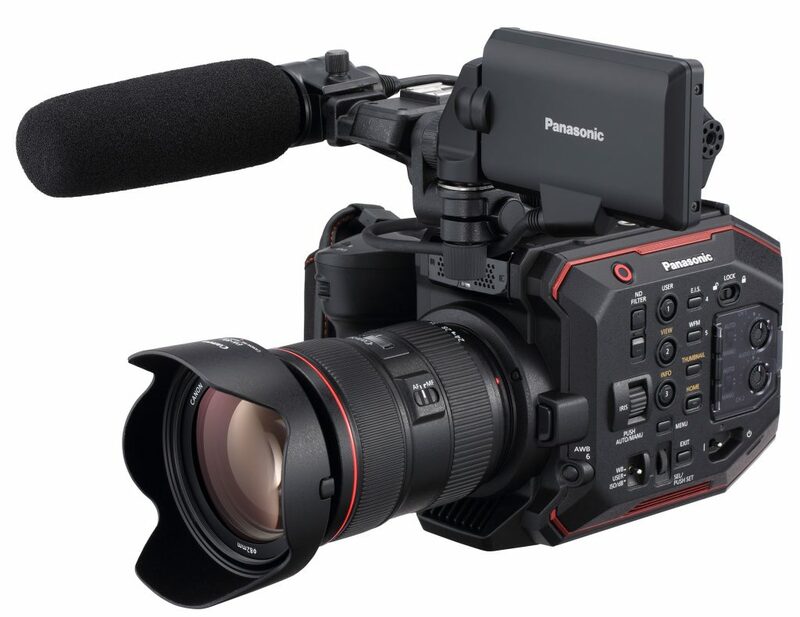 NEWARK, NJ (October 31, 2017) – Panasonic Media Entertainment Company (PMEC) today announced that it is delivering its AU-EVA1 5.7K handheld cinema camera, distinguished by a pixel count of 5720 H x 3016 V (17.25 million), Dual Native ISO ratings of 800 and 2,500, and 14-stops of dynamic range. The highly-anticipated EVA1 has a suggested list price of $7,495. The EVA1’s 14-stops of Dynamic Range enables fine gradation in exposure from bright to dark. The ability to capture accurate colors and rich skin tones is a must for any filmmaker. The EVA1 features full V-Log/V-Gamut capture to best utilize high dynamic range and broad colors. V-Log’s wide dynamic range and V-Gamut’s color space beyond the Rec. 2020 standard offer all the information necessary to deliver rich 4K HDR imagery. Learn more about Panasonic at Learn more about Panasonic at us.panasonic.com/news.